the most powerful antioxidant nutrients and plays an essential role in the functioning of white blood cells, which are vital components of the immune system. Additionally, it aids in collagen (connective tissue) formation, which is important for healthy nails, skin, hair, and joints. Vitamin C promotes respiratory and circulatory health and is beneficial for healthy gums. 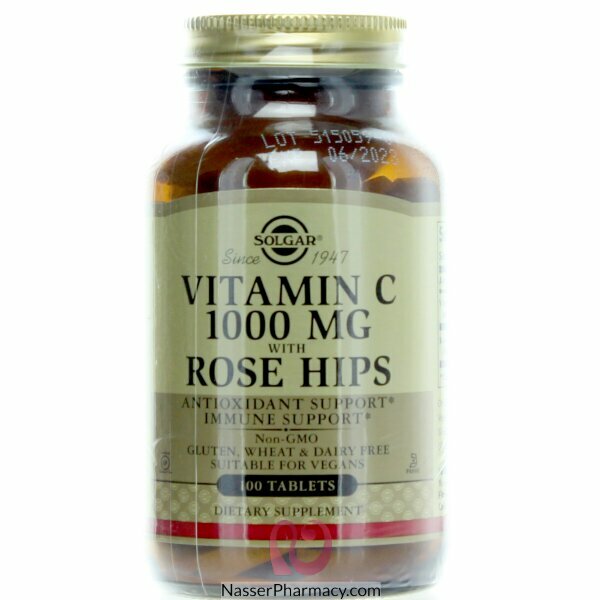 This formulation provides pure Vitamin C along with Rose Hips fruit, a plant source containing naturally occurring amounts of Vitamin C, anthocyanins and bioflavonoids. L-ascorbic acid, microcrystalline cellulose, vegetable cellulose, silica, vegetable magnesium stearate, vegetable glycerin.